Do you know what to do if someone near you starts choking? Everyone has the power to save lives; and this certainly applies to situations where someone is choking. 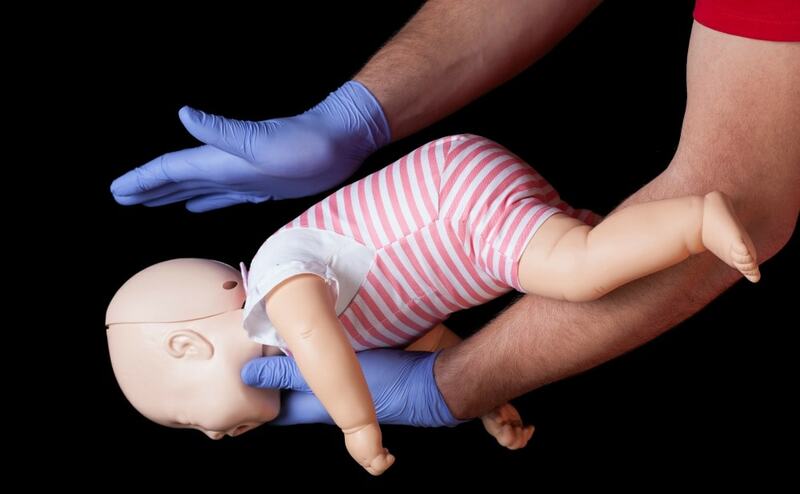 Today we will look at what choking is and how taking CPR certification classes in Baltimore can help prepare you for the worst and give you the power to save a life. Choking occurs when a foreign object, such as food, or a small object becomes stuck in a person’s throat, blocking the normal airflow needed to breathe. Depending on how blocked a person’s airway is will determine how many symptoms they show. When a person is choking and cannot breathe, oxygen needed for survival is not delivered to the brain. This is why administering choking first aid is so crucial. If you find yourself needing to administer choking first aid, it is important to take a quick mental check and assess the situation first. Choking first aid comes in many forms depending on whether a person is conscious or not and what age the person is. Just don’t panic. Your Baltimore CPR certification classes will have you well prepared for any situation. Trust yourself. If someone starts to choke, the first thing you should do is encourage them to stay calm, breathe, and cough. In the meantime, have someone standing by call 911. Many times coughing will dislodge whatever is blocking the airway. However, if this does not work, there are other ways you can help the person in distress. The American Heart Association does not implement the “five-and-five” technique, preferring people to stick to abdominal thrusts only while administering choking first aid. Stand behind the person choking. Wrap your arms around the person’s waist and tip the person forward slightly. Make a fist with one hand. Position your fist just above the person’s navel. Grasp the fist with your other hand. Using both hands, thrust upwards into the abdomen with a hard thrust. Think of it as if you are trying to lift the person. Continue thrusting five times and assess the situation. If the object does not dislodge, continue the thrusting in cycles of five until the object comes loose or emergency medical personnel arrive to help. Both approaches are acceptable when it comes to delivering choking first aid to someone in need. Just remember, these outlined methods provide only the very basics. Nothing compares to proper CPR certification classes. If the person in distress becomes unresponsive, the next best thing to do is start CPR. It is in this moment that getting the person to begin breathing again is imperative to survival. Place the person on their back on a hard surface such as the floor. Tilt the person’s head slightly back, pinch their nostrils closed, and blow firmly into the person’s mouth two times. Place the heel of your hand into the person’s breastbone and interlock your other hand on top of it. Using a quick pace, press down firmly 30 times. Complete two more rescue breaths and administer 30 more chest compressions. Do not stop performing CPR until the paramedics arrive. Choking is one of the top causes of unintentional death among children. Certification in CPR and basic first aid techniques can help reduce this startling fact. Since children are much smaller than the average adult is, choking first aid is performed differently. Do not perform any back thrusts by hitting the child on the back while in an upright position. This may force the object further down the windpipe creating a full airway blockage. Do not perform the Heimlich maneuver if the child is 1 year of age or younger. This method may damage the child’s internal organs. Do not perform any type of choking first aid if the child is coughing or crying. The force created by coughing or crying is likely strong enough to dislodge the item on its own. If the child is unable to cough, cry, or breathe, the next step for you is to perform choking first aid followed by CPR. Perform first aid and CPR similarly to how you would perform them on an adult – but be very mindful that far less force will be needed. Place the child face down on your thigh and support the head with one hand. Give five back blows in a downward motion between the child’s shoulder blades using the heel of your hand. Turn the child over and perform five chest compressions on the child’s breastbone using only two fingers. Continue this cycle until the object dislodges or the child becomes unresponsive. If the choking child becomes unresponsive, begin CPR by replacing back blows with two rescue breaths. To administer rescue breaths, tilt the child’s head back and pinch the nose shut and make a complete seal over their mouth with your mouth. Deliver firm breaths into the child’s mouth. If the child is younger than one, rather than pinch the nose shut, create a seal over the nose and mouth with your mouth and deliver the rescue breaths. The person becomes conscious and the object dislodges. Emergency paramedics arrive and take over choking first aid and CPR. Choking is a frightening thing for everyone involved, not just the person in distress. In order to prepare yourself for choking emergencies, it is crucial you take CPR and first aid certification classes. 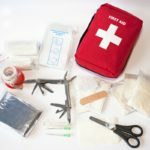 These classes can help you assess emergencies and teach you the needed skills to stay calm and deliver lifesaving first aid techniques to those in need. If you are in the Baltimore area and are interested in becoming CPR certified, check out Chesapeake AED Services. Certified by the American Heart Association, Chesapeake AED Services in an industry leader when it comes to CPR and first aid training. With several programs available to fit your needs, certified trainers that are accustomed to emergencies, and on-site facilities for the best CPR and first aid education you can receive, Chesapeake AED Services is the place to go so you can prepare for anything life throws at you.